East of the Sierras and Yosemite along Highway 395 lies some of California's most beautiful and least-visited country. A getaway to Mono County is easy on your budget and long on unspoiled, natural beauty. This getaway focuses on Mono County from spring to fall, but not on winter activities, which center mostly around Mammoth Lakes. You can plan your Mono County getaway using the resources below. Why Should You Go? Will You Like Mono County? Mono County is popular with hikers, fishermen, photographers and nature lovers. It's also one of the most affordable places in California for a visit, with moderate hotel prices and many free attractions. Plan your visit in summer or early fall. In fact, if you've ever seen this area when the aspens are in full fall color, you'll find it drab by comparison the rest of the year. Winter snow closes the Tioga Pass, making access from the San Francisco area difficult, and some of the hotels and attractions also closed in winter. If you've only got a day, spend it in Bodie, the "mother lode" of California ghost towns. 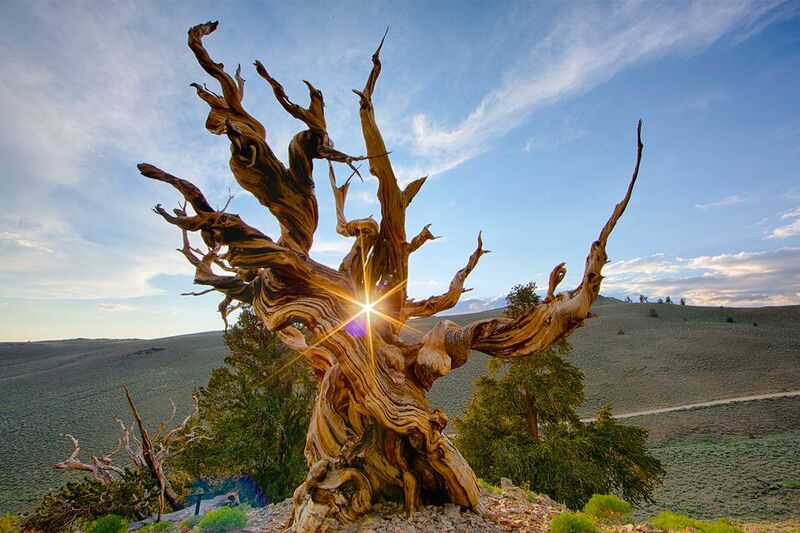 Bristlecone Pines: The world's oldest living things, these gnarled, twisted trees survive in an austere, dry, high-mountain environment. Small entry fee. Mono Lake: An other-worldly landscape, especially beautiful at sunrise and sunset. June Lake: You'll find a selection of restaurants and places to stay in this lakeside town, trout fishing is good in the lake, and it's especially pretty in the fall when the aspen trees turn golden. Hot Creek: The geological site reminds us of thermal features in Yellowstone, and the nearby fish hatchery is fun to visit, too. Hot Water: You'll find some really nice, open-air hot springs located on public land in Mono County. A soak in one of the, with a panoramic view, is a real treat. Mono Basin Bird Chautauqua: Held in June, it's a bird-watcher extravaganza, so popular you may need to sign up months in advance. Independence Day: The town of Bridgeport hosts a fun, old-fashioned celebration and the fireworks above Crowley Lake are especially striking in the dark skies. If you're driving from the west through Yosemite on Highway 140, you'll have to pay their entry fee, even if you're just passing through. If you plan to be in the national parks more than a couple of times in a year, make better use of your money by getting an annual park pass. Bring your binoculars. You'll find lots of interesting things to focus them on. Many locations are short on television reception. Take a break from the tube and bring a book or magazine. Ask anyone who's been there and chances are they won't stop gushing about the Tioga Gas Mart near Lee Vining and Yosemite's west gate. Here the Whoa Nellie Deli offers a most unlikely menu that includes lobster taquitos on Brazilian black beans, grilled pork tenderloin with apricot-wild berry glaze and desserts so good that you'll be tempted to order them first. We eat every meal there whenever we're in the vicinity. The Inn at Benton Hot Springs offers seven comfortable rooms, with breakfast included that will be big enough that you probably won't need lunch. Even better, guests get access to their outdoor hot tubs, fed by some of the state's best natural hot springs. Located in the tiny former mining town of Benton, this is a real get-away-from-it-all location. The Bridgeport Inn is a family-operated, historic hotel with a central location, a friendly bar and even has a resident ghost (no extra charge). You can also find places to stay in Lee Vining, June Lake, and Mammoth Lakes. From San Francisco (over the mountains) to Mono County is 351 miles, 333 miles from Los Angeles and 207 miles from Sacramento. There's a small airport near Mammoth Lakes. Can You Actually See Disneyland in Just 2 Days?